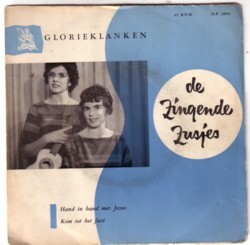 Dirk Koorn gave me a pile of 45’s, with several advertisement records and one early record of De Zingende Zusjes. (Thanks a lot, Dirk!) 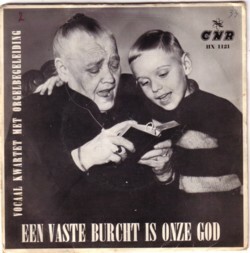 But also with some Dutch Christmas records. 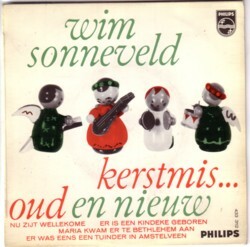 On the EP with four songs by Wim Sonneveld is a song called Er was eens een tuinder in Amstelveen . I remember that my father was convinced that this song was about my grandfather. He was indeed a “tuinder” (a gardener), and he did all the things that are told in the first half of the song. But if he did also see a miracle on Christmas evening, as is sang in the second part of this song, he never told anybody, and it surely didn’t stop him from drinking. I am sorry, I am not in he mood for more Christmas stuff. So, instead of more stories about my X-Mas memories, here is a link to the fifth episode of the Trypshop podcast. Mark Vidler says that he was drunk as hell when he recorded the show, and I notice some breathing difficulties, but he seems one of the rare persons that can function very well under the influence of alcohol. I think that alcohol is a drug that takes away the superficial layers of people’s personality, and lays bare the deeper, hidden layers. That is why I prefer to avoid drunken people or being drunk in the presence of others. Hm, if I can’t find it in time, I will post an mp3 of the song Getting drunk with Christmas , but I cannot remember who recorded it, and I am pretty sure that the title is slightly different from what I remember right now, so it will be difficult to trace that record. But I’ll do my best! In the 5th Trypshop there are some real good Christmas songs, by the way. Mark Vidler plays two tracks from an LP that he owns, and that I never heard of. The band is called The Fab Four, and they play Christmas songs in a Beatles version. Man, I what love to have that complete LP! 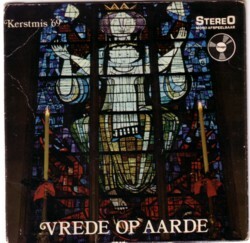 But here is one track, our all time favourite X-Mas tune, of course.